1. Skip reading the passage but go over the questions first. This tip suggests that you first read the questions and answer them based on the data presented in charts, graphs, and other visuals. Try to answer as many questions that you can refer to in the visuals. If ever you come across questions that need more information, skip them for the time being. Go back to responding to them by skimming through the passage. This reading strategy for the ACT Science passages is one of the best approaches. Consider that you only have 52.5 seconds to answer each question in the ACT Science test. By far, this is the most efficient reading technique to cope with the limited time. 2. Skim through the passage then proceed to read the questions. As a second-best reading strategy for the ACT Science passages, you can use this technique if you need to answer questions based on context. As you skim through the passage, look for keywords that provide clues to what it is about. Some of these keywords may indicate trends, examples of which are increase or decrease, or keywords that imply differences, such as big or small, and high or low. Encircle these keywords as you encounter them along the way of your skimming. These are the key terms that are typically asked for in Data Representation and Research Summaries passages. There may be times when you’ll find it difficult to understand complicated terms, but you’ll likely understand their meanings better as you read the question. 3. Start by reading the entire passage. You only resort to using this strategy only if the first two approaches don’t work. For one thing, it will consume an ample amount of time if you read the whole passage. There are numerous items wherein you can arrive at the correct answer by referring to the visuals first or by skimming through the passage. Remember that there are 7 passages featured in the ACT Science test, and you have to be very quick in your reading. If you plan to use this approach (reading the whole passage), you have to complete reading the total passage in less than 2 minutes. You need to allocate 3 minutes in answering the questions, which gives you about 5 minutes to tackle each passage completely. 4. Begin with reading the complete passage. 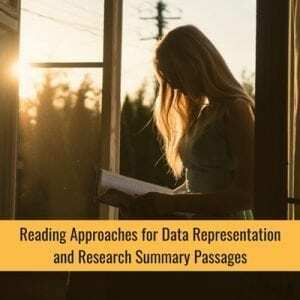 This is actually not an applicable strategy for reading Data Representation and Research Summary passages, but it is effective for reading the Conflicting Viewpoints passage. You need to be able to distinguish the viewpoints of scientists and students, so you need to read the whole passage so that you can answer all of the questions. Apparently, you need to know the complete information included in the Conflicting Viewpoints passage to be able to respond correctly to the ensuing questions. You shouldn’t miss the key information that’s necessary to fill in the right bubble, that’s why reading the full passage is the most effective strategy in tackling the Conflicting Viewpoints passage of the ACT Science section. 5. Skim through the questions then proceed to read the passage. Primarily, you only use this technique if you want to scan through the questions first to know what to expect to read in the passage. The first strategy (mentioned above) is nonetheless more effective. 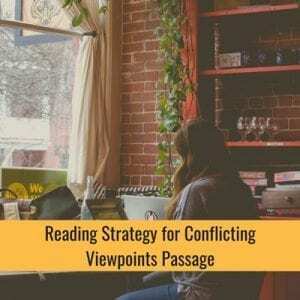 This second strategy for reading the Conflicting Viewpoints passage may slow you down. Then again, every test-taker is unique, so in your practice test, go by the reading strategy that makes you arrive at the correct answer faster, whether strategy #1 or strategy #2 in reading the Conflicting Viewpoints passage. Want to try these strategies? Take the ACT Science practice test and give these strategies a go. What Are The Advantages Of Getting High ACT Scores?